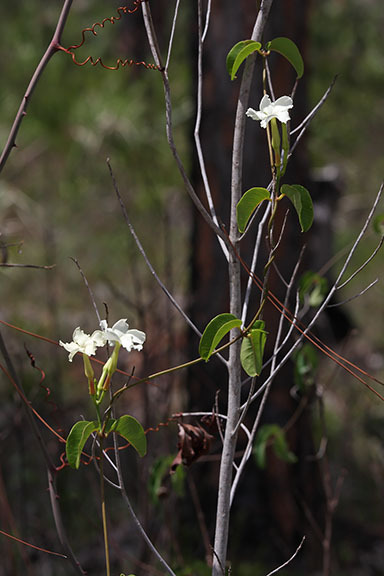 An occasional vine of coastal pinelands from Brevard County south along the east coast into Monroe County. The range also includes the West Indies, Mexico and South America. This twining, evergreen vine has opposite petioled leaves that are ovate to oblong-elliptical, 3.8 - 10 cm (1-1/2 - 4 in.) long and 2.5 - 5 cm (1 - 2 in.) wide. 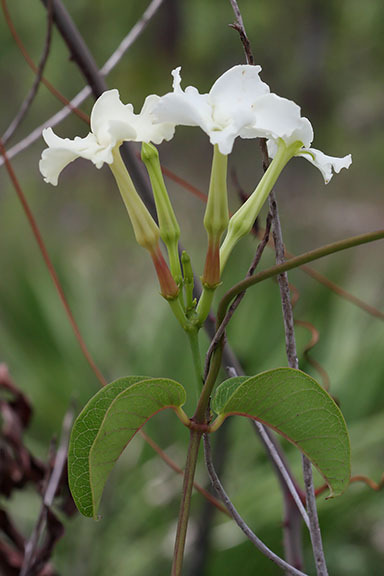 The white trumpet shaped flowers have a narrow throat and curved lobes that give the appearance that they have been twirled, looking very much like fan blades. 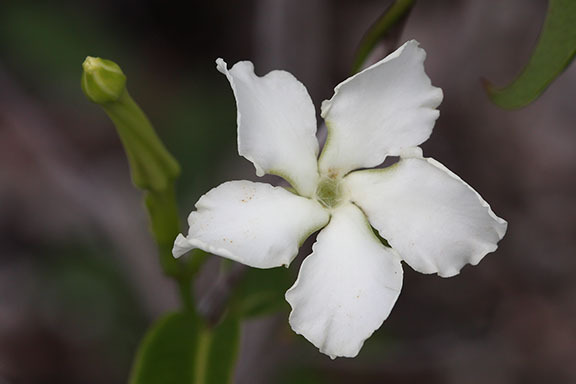 The flowers are 3.8 - 5 cm (1-1/2 - 2 in.) wide and can appear all year, but bloom mostly from June through October. The seedpods are paired, narrow and elongated. 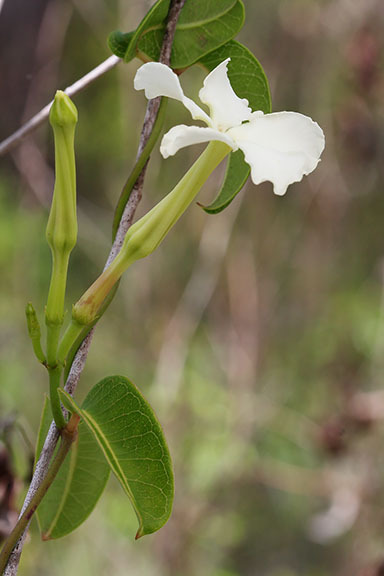 The common name derives from the poisonous, thick, tuberous root. Echites umbellata is a larval host plant for the faithful beauty - Composia fidelissima - a red, white and bue day-flying moth also known as the Uncle Sam moth. Echites umbellatus is a member of the Apocynaceae - Dogbane family.